This is a refreshing, original story. Humans perished from the earth over 1000 years ago. Over that time, robots have endeavoured to cleanse the environment and rebuild the resources and structures to make it habitable once again. Even with all their progress, they have not yet reached the technological level where they are able to successfully clone people. 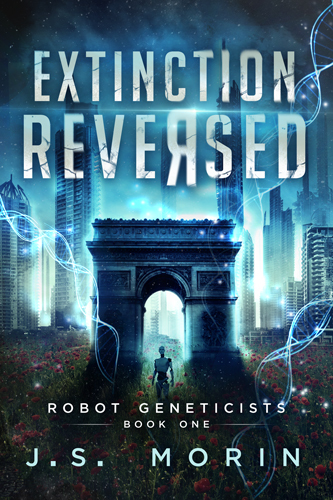 That has not stopped a number of rogue scientists robots from trying and failing until one experiment, Eve 14 escapes from the lab. The story then follows Eve as she ventures into the world outside and experiences much that we kept from her by her creator. It is not a happy go lucky life on a reborn earth, but rather a race for Eve to escape the clutches of her crazed creator. I totally enjoyed this take. It was unique from other robot stories I've read and nothing much like the cute cartoon movie Wall-E (which I loved). The evolution oft he robot society wand hierarchy is well done. With 1000 years for them to work, it's not surprising that their world would be so rich and detailed. This story did have a few ah-ha moments I didn't see coming, though I knew how it had to end and I enjoyed following it's path. Cover image used courtesy of author J. S. Morin. Bright, huh. You should see it in person, it's even more electrifying. I love orange and I love orange quilts even more. By one definition I read, you define a quilt as an orange quilt if it contains more than 10% orange fabrics. I didn't do the calculations on this one, but it passes by a long shot. This is the quilt top for the Spring Sampler Quilt Along hosted by Lori at The Inbox Jaunt. For those working along on the project, you might notice my slight design variation. Next up, layering with batting and backing followed by stitch in the ditch. I finished the second pair of fittens using the black and white yarn. I wasn't going to have enough for the top, and decided that this red looked terrific. My tension was a little different on the second pair, so the striping changed a bit. No worries though, both pairs look great and will be warm and snuggy. Keeping to the plan to knit a dozen or so pairs of these this year, I cast on the next pair right away. This time I am using Red Heart Super Saver in colourway Sage Mary. I'm pretty sure I had purchased this to make something, maybe a scarf, for my sister, but then forgot about it. To be honest, she doesn't really need any more scarves from me at the moment, slippers would be more welcome. With two balls of the yarn, I'll probably have enough to make three pairs. Currently were having a rather warm streak of spring weather here in my part of Ontario. It's not conducive to large needlework projects which crowd all over my lap. These small ones fit the bill perfectly. I hope I can keep the mojo going and finished up some more fittens and other UFOs. Last weekend, hubby and I visited our favourite local coffee shop, Rumbletum Cafe, and I tried a London Fog with none dairy milk. It was a fun change from coffee beverages. When I was in the grocery store, I saw this package of London Fog latte mix that I could make at home. It was even on the clearance rack, so I purchased it. I was kind of in a rush and didn't notice that it was for a Keurig machine. I thought about giving the package away to someone who has a Keurig machine, but couldn't think of anyone with one. We are a Tassimo family. I next figured, that I could open the pod and put the tea leaves and what ever else in a tea strainer and make it with hot water. Seemed simple enough. While boiling the water, I got out a tea strainer and a mug. Cut open the pod and poured the contents into the strainer. Well imagine my surprise when I found there are no tea leaves. It's made with instant tea. Why even bother putting it in a pod when it can be packaged in an envelope like hot chocolate mix. All that expense of the Keurig machine, the non-recyclable pods, a foil lining bag and an over sized box. Of course that more than doubles the price of what would be charged for hot chocolate style packaging. Fortunately, the London Fog Latte was enjoyable, but I won't be making that mistake on packaging again. For more foodie fun, be sure to click the link and visit with Beth Fish Reads for her Weekend Cooking post and linkie. For those who visited with me last week, you might recall that I was pondering whether to start a new project or to continue with an existing, or UFO, project. Well, it was kind of a tie. I picked the most pressing UFO and set to work. It's a tee shirt quilt for my neighbour and I had a lot of shirts sitting ready to trim and add. I spent days cutting, trimming and figuring out what to do with the left overs. Not wanting to waste the unprinted bottoms of the shirts, I decided to turn them into yarn for knitting/crochet. I watched a video showing an easy way to cut the shirt bottom into a long strip. It's much easier using a rotary cutter than the scissors shown. After putting the cut strips through the spaghetification process, I now have yards and yards of t-shirt yarn for a future project. With that project securely moved into 'active', I turned to the new project I mentioned last week, the Spring Quilt along with Lori Kennedy at The Inbox Jaunt. The project calls for 40 half square triangle blocks. I figured it would be a good thing to have extras for a future project, so I found a site with free printable triangle paper, Quilting and Whatnot and downloaded the finished 2 inch square. I test printed one page and the test square measured a prefect one inch. I then printed 10 additional copies and started sewing. 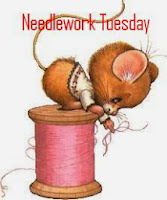 For those who haven't used triangle paper, you stitch on the dashed lines and cut on the solid lines. I find it best to layer your fabrics in the following order, dark print facing up, light print facing down, paper on top. Once you cut your triangles apart, then press the open before ripping off the paper. It didn't take long to make almost 150 squares. Unfortunately, at some point in the process I realized that I had printed the ten pages to the wrong size, I forgot to turn scaling off and the triangles would be slightly too small . oops. I'll still be able to use them, but I am not impressed with myself at making this avoidable mistake. Always a learning opportunity and this one was not to be distracted by competing conversations. I'm looking forward to assembling the top so I can move on to the machine quilting, which is what this project is all about. I hope that you are having success with which ever project you are working on this week. 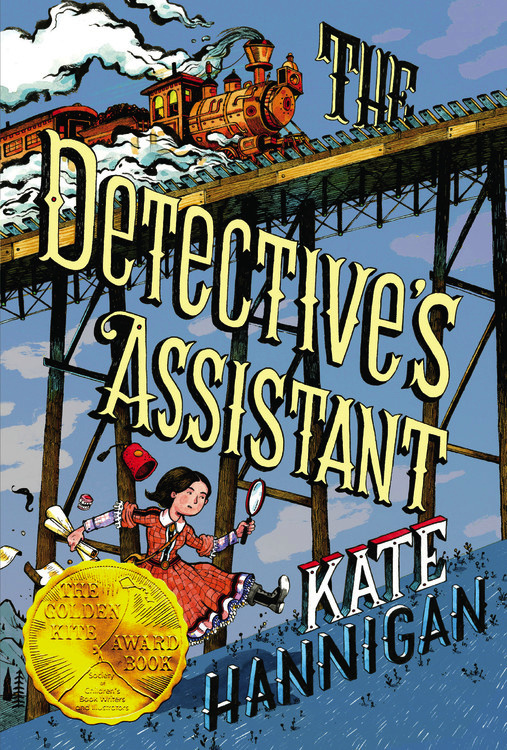 This is a well told story based on the true life of Kate Warne, the first woman detective of the Pinkerton Detective Agency. The character of Nell is fictional. From the first chapter, I was sucked into the story and couldn't let it go. I listened to the audio book almost non-stop. Nell is very rough around the edges and in need of someone to take her in. Her aunt Kate is a young working woman with no inkling of how to care for a child. Together they make quite the pair. The brash youngster and the refined lady. How could I not love them and root for their success at forming a family. I enjoyed learning some of the history of the Pinkerton's, the politics of 1860 and of the Underground Railroad. It was thrilling each time my home town of St. Catharines, a northern terminus of the railroad, was mentioned. I listened to the unabridged audio book as read by Christine Lakin. She did a marvellous job of the very different characters especially when Nell and Kate were working undercover. She captured the youthfulness of Nell and her brash nature. I had no trouble believing her to be that rural farm girl. 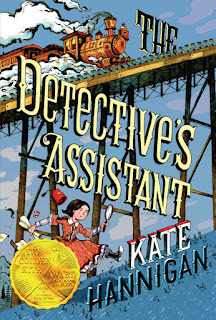 Author Kate Hannigan brought the Pinkerton's to life and clearly showed both the excitement of being a detective as well as the great risks that those women and men take in that job. To learn more about the history of the Kate Warne and the Pinkerton Detective Agency, visit the Pinkerton website. I had been hearing so many good things about this book series from my customers and their parents that I had to read one of them for myself. 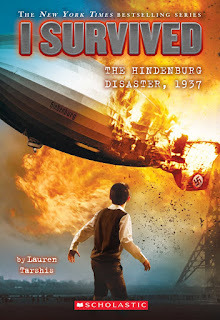 I knew very little about the Hindenburg and thought this would be a good chance to learn a more of it's history. 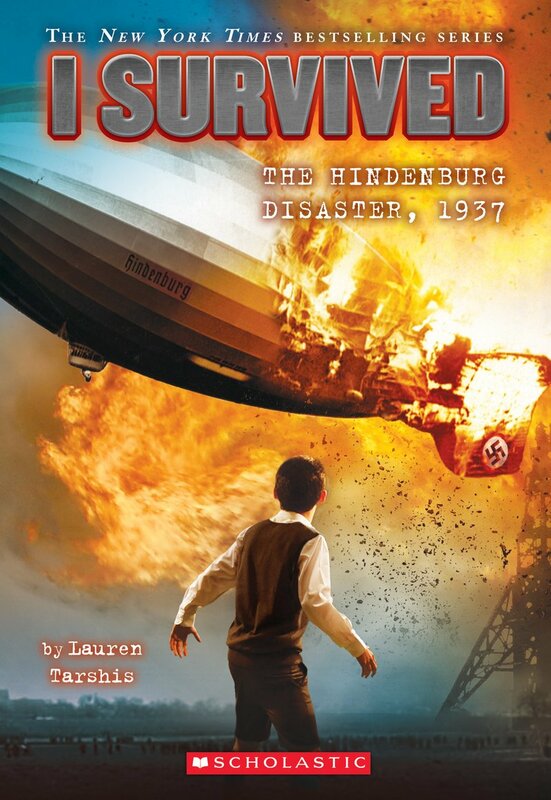 Author Lauren Tarshis tells the story through the eyes of eleven year old Hugo Ballard. This is an effective method to interest middle school readers who are the target audience. The meticulous research and attention to detail, makes this series good for class room reading and follow-up activities. This series appeals to both male and female readers in the middle grades. It is also suitable for older readers who are not ready for teen novels and for reluctant readers who are attracted by the high drama level and shorter length. I listened to the unabridged audio book as read by David de Vries. 1 hour 31 minutes. At present there are 15 books in the I Survived Series. My quilt guild is participating in a quilt show next week and yesterday I was rushing to get my entries ready. The quilting was all complete and the bindings sewn down, all that remained was to make and attach labels and then deliver them to the organizer. What a relief when that was complete. Now I'm ready for something new. Well, that is the question, do I start something totally new or do I select another UFO and work on it. I am steadily working on my current pair of fittens. The first pair in the variegated black and white turned out awesome and I am about half way through the second pair. Love the spiral effect of the colours. Once this pair is complete, I'll cast on the next so that I can keep the to the program of getting enough finished for gift giving at the end of the year. I have far too many unfinished projects, but i am sorely tempted by Lori Kennedy's current quilt along. It's a free motion sampler titled: The Spring Sampler Quilt Along. Since one of my goals this year it to improve my machine quilting, this could prove helpful. Would it be procrastinating to interrupt other items to make this sampler, or would it provide some fresh air to my brain and rev me back up to work on the existing backlog. Which ever I choose, I always keep in mind that stitching is fun and when it stops being fun I am in trouble. Honestly, it's always more fun to start a project but at the same time, it is exhilarating to totally finish a project. Oh darn, that wee bit of enlightenment didn't help me at all. Come back next week and find out what I decide to do, behind curtain #1 is a UFO, behind curtain #2 is the Spring Sampler Quilt Along. 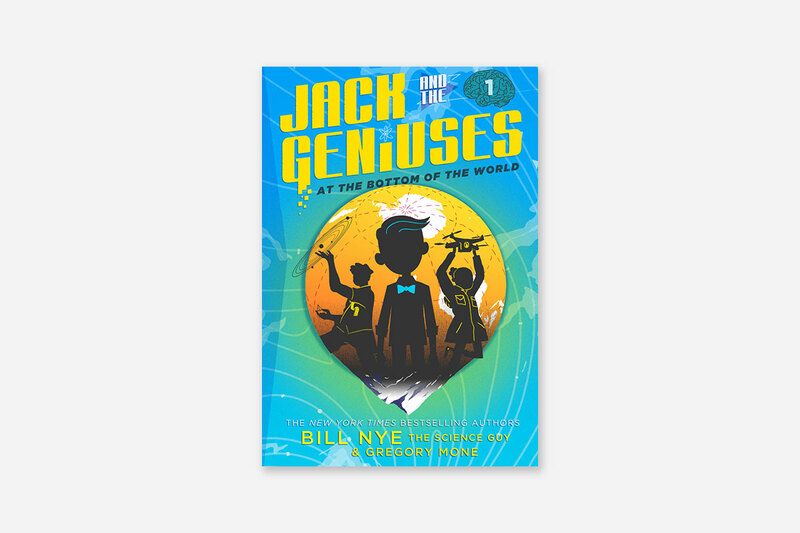 Wonderful adventure story packed with scientific facts. Parents will enjoy reading along with their kids while they learn together about Antarctica, the most southern continent. Jack, Matthew and Ava are three orphans who have formed their own family unit. While Matt and Ava are the brains, it's up to Jack to keep everyone on track and moving forward. When an opportunity presents itself for the three to work with a top notch scientist, they jump at it. When their association leads them to Antarctica, the children find that they may have met their match. I thoroughly enjoyed this story. Coming from Bill Nye, I expected it to be filled with science and I wasn't disappointed. 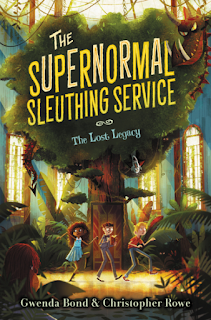 The remote location of the story and the interesting plot should be enough to peak the curiosity of young readers. In a classroom setting, the book could form the basis for a unit on inventions as well as one on exploration. I was fascinated when visiting the Auckland War Memorial Museum in New Zealand that featured a replica of Ernest Shackleton's Antarctic hut. What I saw there is far removed from the amenities the children had on their trip, though the weather and isolation were the same. 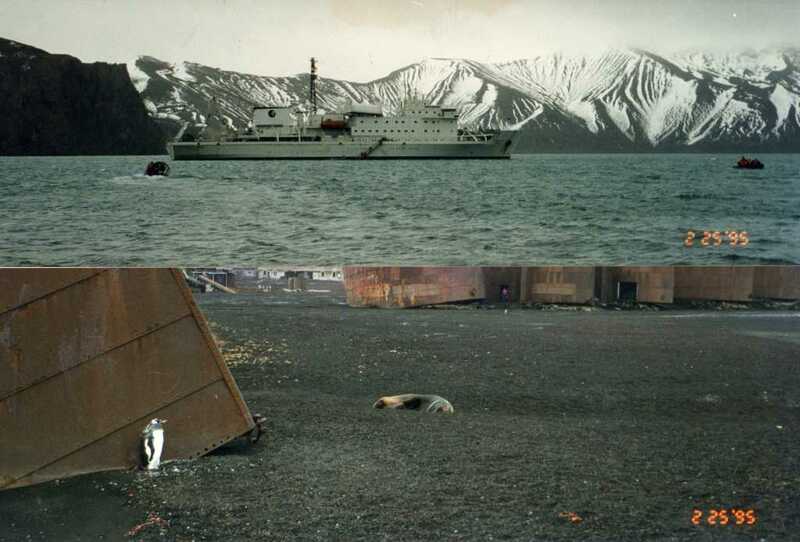 My god father, Jim Ellis, twice travelled to Antarctica. It is not a luxury cruise ship that you travel on, but a working scientific research vessel. Unlike the children in the book, before he left, he was given an list with an extensive wardrobe and items that he would need for the trip. A standard winter coat isn't going to cut it. The landscape there is unlike anything I have experienced, it is beautiful in its starkness, but dangerous for those not prepared. The second book in the series, In the Deep Blue Sea, is due out September 2017. Photo credits to Jim Ellis. Thanks to my aunt, Mary Ellis for sharing with me these photos. Jim was an avid traveller and visited well over 200 countries. He enjoyed seeing the natural and man made sites as well as visiting with the people who made their homes at those locations. Cover image courtesy Abrams Books. 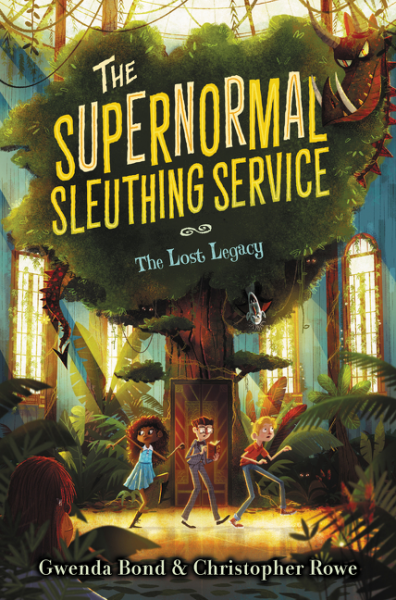 A wonderfully creative story that is sure to catch the imagination of any young reader. With a pinch of magic, a dash of insecurity and a heavy serving of whimsy, authors Gwenda Bond and Christopher Rowe have created a hotel in the heart of New York city at which most children would love to stay. Stephen's first visit to The New Harmonia Hotel is on the day of his dear grandmother's funeral. That is the same day that he learns that there are indeed monsters, or supernormals as they prefer, in this world and that is is one of them. I loved this book. It is funny and then suspenseful in the next moment. With all the different creatures in the hotel, Stephen must quickly learn to be sensitive to their different appearances and manners so as not to offend. At the same time, he is grieving the lose of his grandmother, moving to a new state and learning huge secrets about himself. Wow. The story is brimming with amazing characters, two of my favourites being Cindermass and the elevator. Nope, not going to tell about that one other than to say that Stephen shows the strength of his character by his treatment of elevator. I wholeheartedly recommend this book to your middle schoolchild. This is the first of a new series. I received and advanced reader copy of this book from Indigo Books and Music Inc., in exchange for an honest review.